Born in Kilmarnock, he was educated at Hutchesons� Grammar School in Glasgow, 1949-65, where he gained a Dux in Art. He initially studied English Language and Literature at the University of Glasgow, 1965-69, graduating with an MA Honours. From 1969-70, he trained as a Secondary School teacher at Jordanhill College, then taught English in France, Germany, England and Scotland. Producing sculpture since 1977, he became a full-time sculptor in 2000. In 2004, after attending classes in sculpture and life drawing at GSA , and training with stone masons in Scotland and marble cutters in Carrara, Italy, he began teaching stone carving at the Glasgow Sculpture Studios. He works predominantly in stone and marble, and has participated in numerous group and solo exhibitions throughout Scotland and in London, the most recent being New Sculpture and paintings, Pittenweem Arts Festival (2010), and frequently attends international sculpture symposia. He set up and organised the first regular International stone sculpture symposium to be held in Scotland, Clach, at Plane Castle, Sirlingshire, in 2006. His commissions include sculpture for Plane Castle, Stirlingshire (2003-5); life-size statues in Carrara marble of Pope John Paul II, St Francis Xavier�s Church, Lanarkshire (2006); St Peregrine, Carfin Pilgrimage Centre, Lanarkshire (2008); the Memorial to William Fyfe & Sons, Fairlie; and the Holocaust Memorial, Banja Bashta, Serbia (2008) . 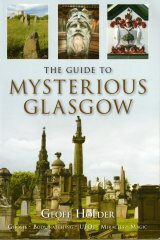 His work in Glasgow includes Caring, Pollokshaws Medical Centre (2005); stone work for projects by Castlemilk Environmental Trust and Penilee Public Art; and the Lord Kelvin Cenotaph, Necropolis (2007). A frequent prize winner, he is also an elected Professional Member of Visual Arts Scotland and Paisley Art Institute. He was elected an Associate of the Royal British Society of Sculptors, in 2006. He is currently based at the Glasgow Sculpture Studios, Kelvinhaugh Street, and for several weeks of the year, he has worked at a studio in Carrara, Italy, since 2000.